same invoice number of that consignor, if already one has been generated by the consignor. o Regular: This is a regular or normal transaction, where Billing and goods movement are happening between two parties - consignor and consignee. That is, the Bill and goods movement from consignor to consignee takes place directly. o Bill To – Ship To: In this type of transaction, three parties are involved. 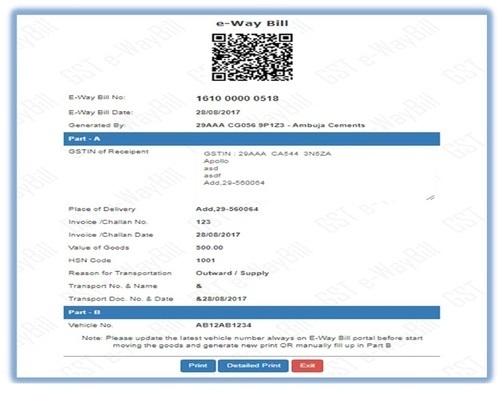 Billing takes places between consignor and consignee, but the goods move from consignor to the third party as per the request of the consignee. from the third party to the fourth party, as per the consignee’s request.